Found Cat! Oakwood and Venice! - Yo! Venice! 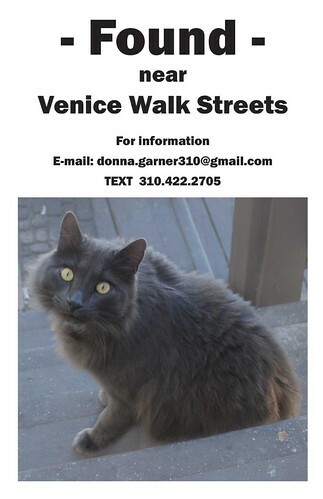 Home Venice Beach California Found Cat! Oakwood and Venice! Found Cat! Oakwood and Venice! This female cat was found the first week of December! Still looking for the owner! The cat is not chipped! Awesome cat! Help find the owners!